We keep our homes clean but often ignore the one piece of furniture we use the most: our MATTRESS. GREEN MATTRESS CLEANING FOR A BETTER NIGHT’S SLEEP. 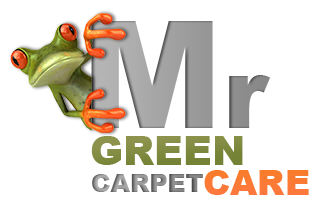 Mr. Green Carpet Care provides complete mattress deep steam cleaning services throughout NY. 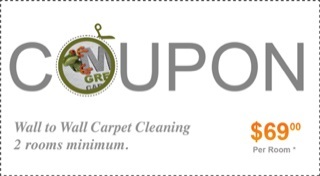 Including spot, stain and odor removal. Our trained professional mattress cleaners have the expertise needed to provide excellent mattress cleaning using only green, healthy and Eco-friendly products that are safe for you, your pet and your home. The result: a clean, hygienic, fresh smelling mattress, and of course, a great night’s sleep. Call us today at 1-877-444-6364 or email us for a quote for a deep mattress cleaning. Best Professional Mattress Cleaning Service NYC: (Brooklyn, Queens, Manhattan, Staten Island, Bronx). Nassau County and Westchester County NY | Parts of NJ and CT.
An unclean mattress can become a fertile breeding ground for Dust mites as they prefer humid areas that carry dead skin cells. Particularly for those who suffer from asthma, eczema, allergies, bronchitis and other respiratory conditions, a dirty mattress means bad news! Dust mites, dust mite excrement, bacteria, viruses, fungi, mold and other residues such as pet dander, dried urine, & other bodily fluids are some of the most harmful organisms found in mattresses. A sheet will simply not protect against the kind of dirt consisting of microparticles that can be harbored in mattresses. Cleaning your mattress and turning it twice a year keeps it clean and in good condition reducing health risks. There are up to two million dust mites in one double size mattress. Why so many? Because your mattress is the perfect environment for them. It maintains humidity and harbors flakes of dry skin from you and your pet which is what dust mites thrive on. To make matter worse, dust mites excrete matter that contains allergens. These are airborne and easy to inhale. Attacking the protective lining of the throat, nose, and lungs, they trigger the symptoms of asthma and other breathing illnesses. They can also cause reddening of the eyes and itching and can be a factor in skin diseases such as dermatitis and eczema. Mattress Steam Cleaners – NY – NJ – CT.